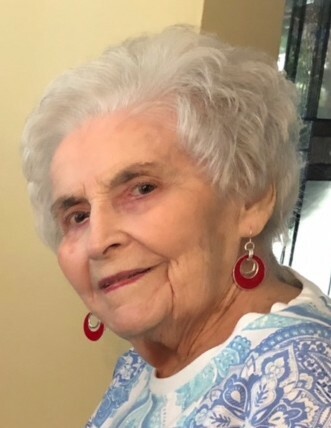 Patricia L. Fato, 92, of Steubenville, died Monday, March 25, 2019, at Lancia's Villa Vista. She was born October 29, 1926, in Steubenville. She is the daughter of the late Thomas and Lillian McMinn Shanley. Also preceding her in death are her grandson, Jason Fato and daughter-in-law, Debi Fato. Patricia was a member of the former St. Anthony's Catholic Church. She loved to cook and bake, be with family and friends and watch her grandchildren's sporting events. Surviving are her husband Dominic "Moe" Fato; two sons, Thomas (Ginger) Fato of Wheeling and Jerry Fato of Wintersville; one daughter, Joanie (Ralph) Clause of Steubenville; one sister, Kay (Bo) Brown of Steubenville; seven grandchildren, Cari, Bryan, Emily, Benji, Courtney, Hayley, Chelsea; and eight great grandchildren. Private services were held yesterday, and entombment took place in Mt. Calvary Cemetery. Memorial donations may be made to St. Jude's Children Hospital, 501 St. Jude's Place, Memphis, TN 38105.